Antec has announced the P7 case, which offers support for ATX motherboards and up to one 360mm radiator. The P7 is a mid-tower chassis that's been made from steel, ABS plastic and aluminum. 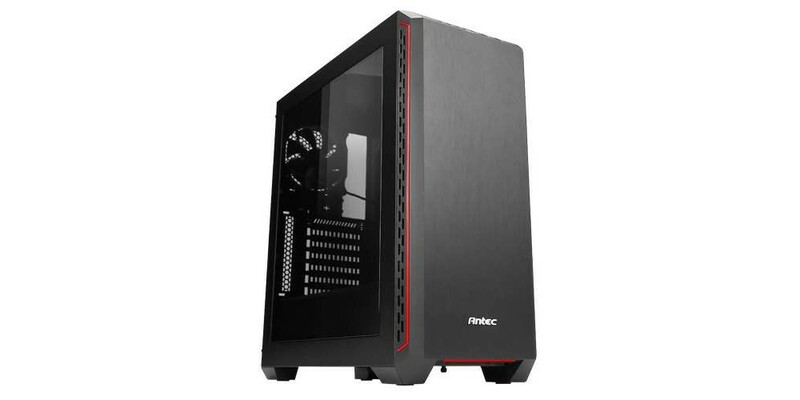 Although there is a well-thought internal layout and a very reasonable number of features, the Antec P7 comes at an attractive €48 price tag. The P7 measures 445 x 210 x 470mm and classifies as a mid-tower. The top and the front faceplate share a simple design, while the left panel is made out plexy glass and the main chassis is made from solid steel. Cooling wise there is space for just one big radiator (3600mm) that can be mounted in the front. In addition there is enough space for mid-range tower coolers. The internal layout is overall simple and straightforward, you can install up to two HDDs and two SSDs. At the front of the case, there are two USB 3.0 ports, as well as standard HD audio jacks, alongside power and reset switches. Overall this case looks quite similar to the P6 that has been unveiled a few weeks ago. According to Geizhals, the Antec P7 can be found at €48 in the EU.